Thit heo nuong xa—Vietnamese lemongrass grilled pork chops—are one of the easiest Vietnamese restaurant dishes to replicate at home. You don't need the special bread required for a good banh mi. You don't need to spend hours constructing a delicately aromatic broth, like with pho. This is a dish that takes maybe half an hour of active work, at most. All you need is a few common ingredients for the marinade—shallots, lemongrass, garlic, sugar, pepper, and fish sauce—some thinly sliced pork chops, and a nice, hot fire. A balanced mix of sweet and savory ingredients enhances the flavor and browning of the pork. Thin-cut chops absorb marinade quickly and maximize surface area for browning. For the Pork: If using whole white peppercorns, crush with salt in a mortar and pestle until roughly crushed. Add salt, lemongrass, shallot, garlic, palm sugar, and pre-ground white pepper (if using) to mortar and crush to a rough paste. You can continue crushing by hand at this point or transfer to a food processor to finish the job. Transfer marinade to a bowl and whisk in fish sauce and vegetable oil. Add pork chops, turning them to coat all surfaces. Transfer pork to a gallon-size zipper-lock bag, press out the air, and seal bag. Marinate at room temperature, turning pork once or twice, for at least 30 minutes or up to 3 hours. Alternatively, transfer to refrigerator and marinate, turning once or twice, for up to 12 hours before proceeding. For the Sauce: Prepare Nuoc Cham according to the recipe, then add carrot and daikon to the same bowl, if using. Add chili flakes to taste, if using. Extra sauce can be stored in an airtight container in the refrigerator for up to a month. Light one chimney full of charcoal. When all charcoal is lit and covered with gray ash, pour out and arrange coals on one side of charcoal grate. Set cooking grate in place, cover grill, and allow to preheat for 5 minutes. Alternatively, set half the burners on a gas grill to the highest heat setting, cover, and preheat for 10 minutes. Clean and oil grilling grate. Grill pork chops directly over high heat, turning frequently and shifting to cooler side of grill if there are excessive flare-ups, until pork is charred and just cooked through, 4 to 6 minutes total. Transfer to a serving platter and serve immediately with steamed white rice, sliced cucumber, and sauce. 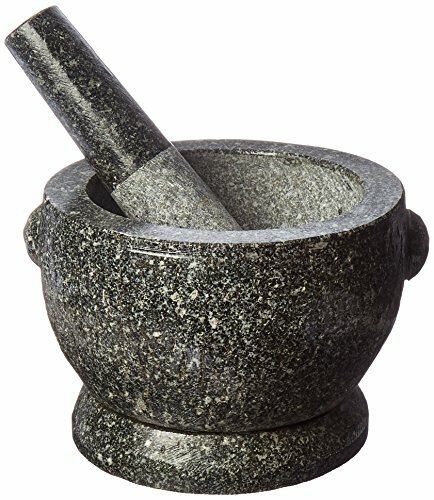 I strongly suggest using a mortar and pestle to make the marinade, but if you prefer, you can make it in a food processor. Process the peppercorns until crushed, then add the remaining marinade ingredients, excluding the palm sugar, and process to a paste. Chop or crush the palm sugar chunks with the bottom of a heavy pan, add to the processor, and process until incorporated.